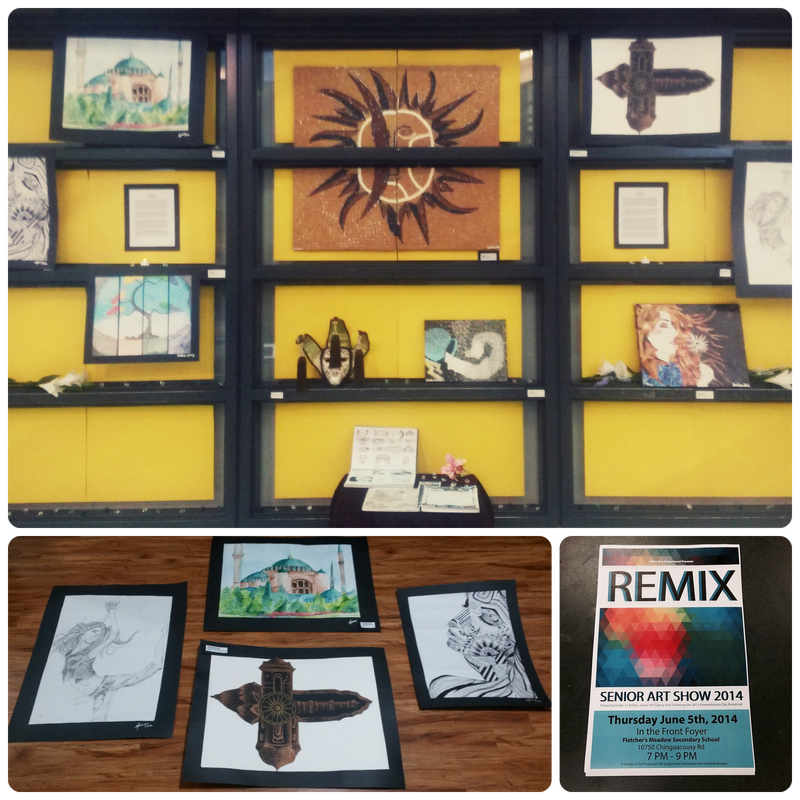 Finally, THE MOMENT OF TRUTH, THE MOMENT WE'VE ALL BEEN WAITING FOR AND THE DAY WHEN ALL OUR HARD WORK FINALLY PAYS OFF - The Senior Art Show "REMIX". It was a Wonderful evening and Everyone did GREAT! It was a moment that made us all feel exceptionally proud of ourselves, all thanks to Mrs. Showalter, our Parenrts & Family, Peers & Friends. P,S, Me and my friend Gurleen Kang, shared the space and we were quite Happy with how we installed our pieces and I absolutely loved her pieces. We decided to intermix our pieces and set them up, in a way, such that, it helped exemplify our themes. 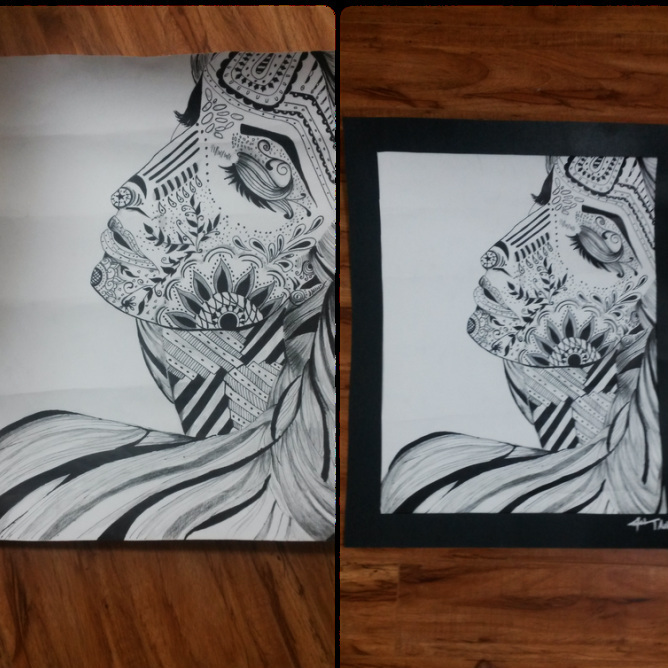 It helped me as my theme was Melding of Cultures, so the melding of our pieces sort off gave off a mixed vibe, where my pieces represented more of the drawing and Painting aspect of Art and her's represented the Mosaic aspect of art! To her, since her theme was Mosaics, the intermixing of our pieces, helped generate a larger mosaic vibe to the audience (Hopefully). Loved working in Collaboration with Gurleen! Contemporary dance is a popular form of dance which developed during the middle portion of the twentieth century and has since grown to become one of the dominating performance genres for formally trained dancers throughout the world, with particularly strong popularity in the U.S. and western Europe. Although originally informed by and borrowing from classical, modern, and jazz cultures, it has since come to incorporate elements from many styles of dance, but due to its popularity amongst trained dancers and some overlap in movement type, it is often perceived as being closely related to modern dance, ballet and other classical concert dance styles. In terms of the focus of its technique, contemporary dance tends to utilize both the strong and controlled legwork of ballet and modern dance's stress on the torso, and also employs contact-release, floor work, fall and recovery, and improvisation characteristic of modern dance. Unpredictable changes in rhythm, speed, and direction are often used, as well. It sometimes also incorporates elements of non-western dance cultures such as elements from African dance including bent knees, or movements from the Japanese contemporary dance Butoh..
Once Again, My first try at a Figurative Drawing and I must admit it was challenging but exceptionally interesting. I know I could've made it Better (especially the face), but I was happy with the rest of her body positioning. THIS WAS MY FINAL PIECE (NOT THE BEST PIECE) AND THE END OF MY BODY OF WORK. 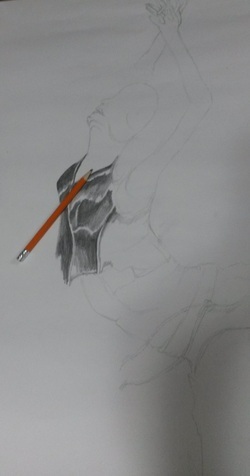 During this shading process I mainly foccussed on her arms, hands and Fingers. This was entirely the Shading process of her Pants. To me personally, this was the most challenging portions due to the folds on her pants relating to the positioning of her body. The shading process of the Abdomen was Easy as I wanted to tone the areas as lightly as possible to distinguish her body features from her outfit. 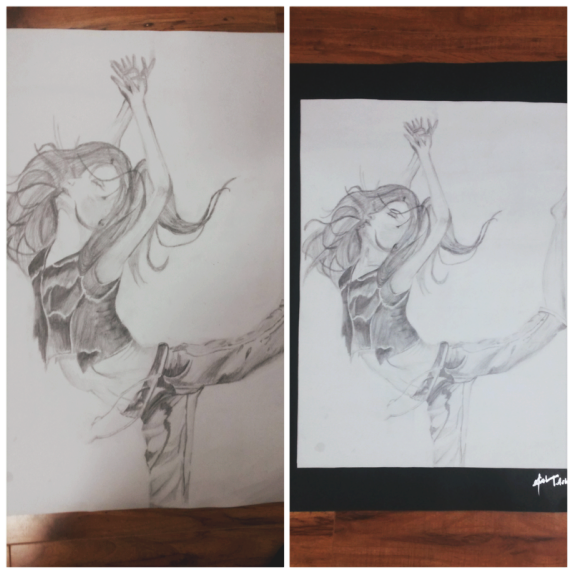 The Start Sketch followed by Shading of her Tank Top. Medium Opted for was graphite, as I wanted to end my body of work with graphite. The art of henna (called mehndi in Hindi & Urdu) has been practiced for over 5000 years in Pakistan, India, Africa and the Middle East. There is some documentation that it is over 9000 years old. Today people all over the world have adopted the ancient traditions of adorning their bodies with the beautiful natural artwork created from the henna plant. It became a very popular form of temporary body decoration in the 90's in the US and has become a growing trend ever since. People throughout the west have adopted the eastern tradition in their lives by having their hands and feet painted for weddings,bellies painted while in pregnancy, heads adorned with henna while going through chemotherapy, scars camouflaged to make them unnoticeable, etc. Henna is used for many reasons including: self-expression; celebration of special occasions like weddings, holidays & birthdays; inspiration; reminders; beauty; cosmetic treatments; medicinal uses; blessings & well-being; to be part of an ancient tradition; and an alternative or precursor to a tattoo ------> Main Idea behind this Piece!!!! This is where I eventually began the process of detailing and shading certain areas to enhance the effect, the overall portrait would have on the audience. I then outlined her facial features, jaw line. EVERYTHING. I further patterned across the face. 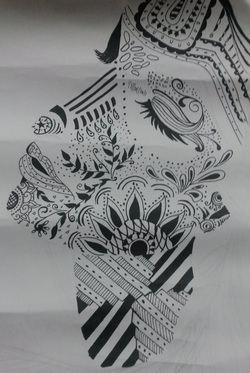 I draw random Henna patterns along the features, treating the lines along the facial features as my outlines. During this Process I was contemplating how to work my way along her hair and how to pattern her hair. I further wanted to enhance the features as to me personally they looked FLAT.